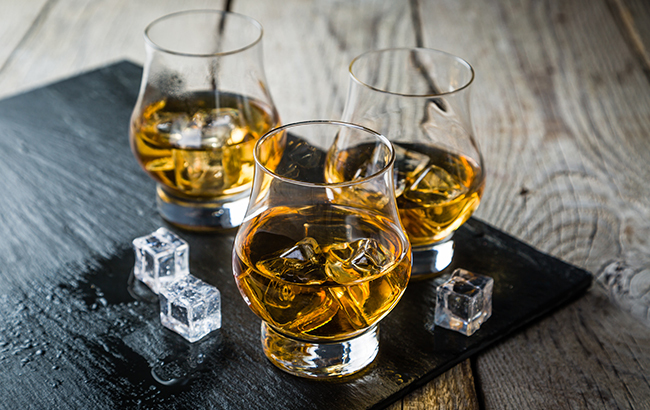 American whiskey has become a global success story, with consumers flocking to buy the diverse flavors and styles the category offers – spanning rye, corn, wheat, Bourbon and single malts. As judges moved up a price bracket to Bourbon – Super Premium, the first Master medalist of the competition was uncovered: Woodford Reserve Double Oaked. Selected by Elise Craft’s panel, the Bourbon was praised for its notes of “espresso”, “nuts”, “black pepper” and “barbecue”. A Gold was also bestowed upon “juicy” Old Forester 1920 115 Proof, while a Silver medal went to Old Forester Statesman. Spearheaded by the popularity of TV programme Mad Men, Bourbon has cemented itself within the whisk(e)y ranks as the ‘cool kid on the block’ and an irrefutable driving force of American whiskey’s revival. The category has proven hugely favourable among that most coveted of demographics – millennials – as imbibers sip, shoot and shake it in cocktails. But it’s not just Bourbon that is relishing American whiskey’s mounting success. Distillers have been pushing category boundaries with different styles of whiskeys, incorporating corn, rye and wheat into their portfolios – even American single malts are on the up. And consumers seemingly can’t get enough of what the US has to offer. According to trade body the Distilled Spirits Council, the nation guzzled more than 23 million nine-litre cases of American whiskey in 2017, generating more than US$3.4 billion in revenue for US distillers. Happily, quality is not being compromised for quantity, as was evident in this year’s American Whiskey Masters. The first flight of the day was Bourbon – Premium, which delivered three Gold medals for Woodford Reserve Bourbon, Old Forester 100 Proof, and Wild Turkey 101, and one Silver for Old Forester 86 Proof. Judge Nick Bell, of Billy Abbott’s team, said the round was “consistently solid. Premium shouldn’t really be crazy things and the value for money you’re getting is great; a whole collection of styles”. Progressing to the highest price range of the tasting, and the Bourbon – Ultra Premium round delivered a Gold for 291 Colorado Bourbon Whiskey Single Barrel, which was hailed for its “really interesting” notes of “chewy bubblegum”, “fragrant tea” and “crumble”. A Silver was also presented to “spiced” and “fruity” Balcones Texas Blue Corn Bourbon. Buffalo Trace Kentucky Straight Bourbon Whiskey secured a Gold in the Bourbon – No Age Statement flight, with flavours of “marmalade” and “stewed fruits”. 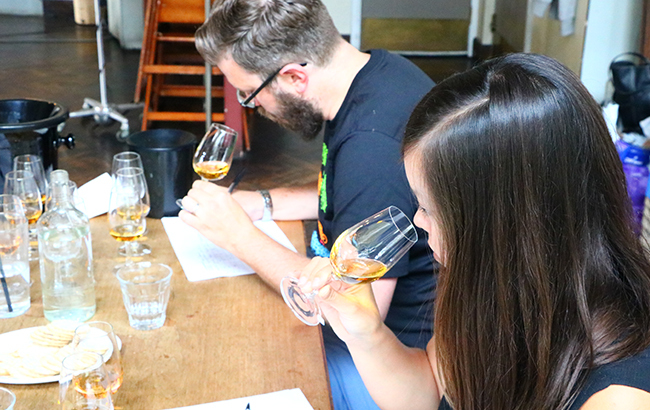 A raft of medals followed suit in what was the biggest flight of the tasting, Bourbon – Aged up to 7 Years. 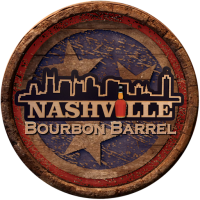 One Silver and a total of nine Gold medals were awarded in this round – almost half of which went to Luxco-owned expressions: Rebel Yell – Small Batch Reserve Bourbon; Yellowstone Select – Kentucky Straight Bourbon Whiskey; David Nicholson Reserve; and David Nicholson 1843 Kentucky Straight Bourbon. One Silver medal was uncovered in the Tennessee Whiskey – Super Premium heat, earned by Uncle Nearest 1856 Premium Whiskey. “It’s easy drinking – a crowd-pleasing whiskey,” said Bell. Abbott’s panel enjoyed the “chocolatey, hazelnut” and “cereal” notes of Balcones Mirador, and the “intense richness”, “oak” and “caramel” of Balcones Peated Malt. The penultimate flight of the day, Other Grains, drew three Silvers: Woodford Reserve Malt, Balcones True Blue 100 and Ironroot Hubris Corn Whiskey. The competition ended with a flight of Moonshine and Other Unaged Whiskey, in which a Silver medallist was discovered: Ole Smoky Moonshine Blue Flame. “I can certainly see the craft that’s gone into making this, and it tastes clean and crisp for a moonshine when water is added,” said Craft.